Join Dory and her friends as they set out to find her real family with this Finding Dory wall graphic by RoomMates! 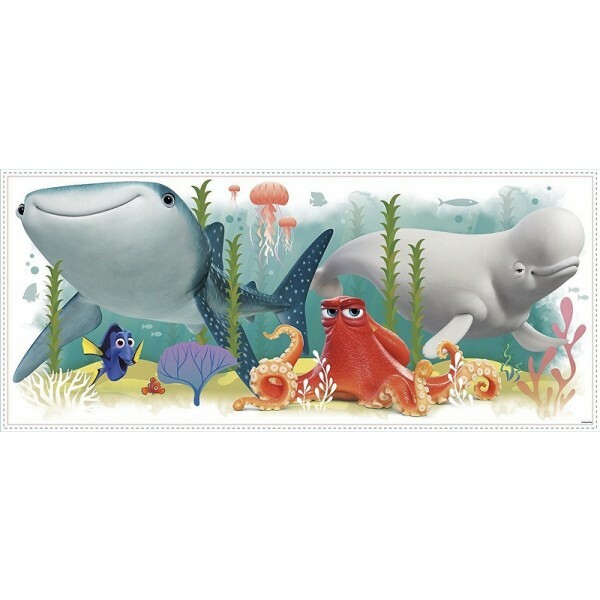 Dory, Nemo, Bailey, Hank, and Destiny are all there, ready to make your child's room a more fun-filled place. Decal is 38.75 by 16.4 inches. 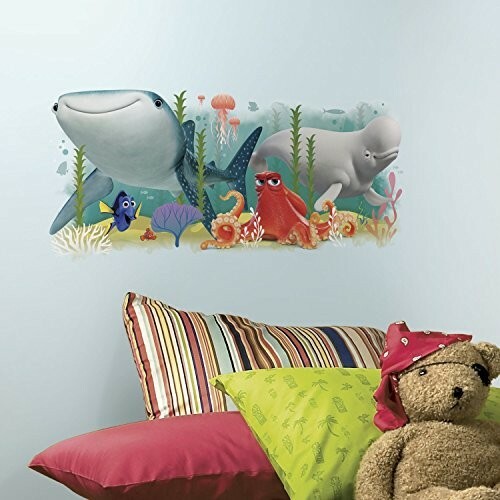 RoomMates peel and stick wall decals and graphics are an easy way to add some flair to your child's room! This one piece wall decal applies to any smooth surface, and you can remove and reposition it without causing damage to your walls. It's a great way to bring a favorite character into your child's space.